Probate is the legal process of transferring title and ownership of property out of a deceased owner's name and into the names of the deceased's beneficiaries. Once a property owner is deceased, the owner is no longer able to sign over property deeds and titles to a new owner. A personal representative appointed by the Missouri probate court receives authority from the court to stand in for the deceased. The personal representative uses this authority to identify and preserve the estate property, contact the individuals named in the will, and ultimately transfer the property to those individuals. A primary purpose of probate is to give a deceased's property to new owners. The appointed personal representative facilitates this transfer of property. However, he is also charged with accounting for that property, documenting its condition and value, and preserving it during the probate process. Any businesses the deceased had must be kept running, rents collected, creditors identified and paid, and taxes filed and paid. Thus, probate serves the additional purpose of winding up the deceased's business and personal responsibilities. Probate of a Missouri estate begins by filing the decedent's will with the probate division of the circuit court where the deceased lived or owned property. The state of Missouri does not charge a filing fee to file a will or open probate. In order for the will to be valid, Missouri law requires it to be filed within one year of the deceased's death. Once filed, the will becomes public record. Any of the deceased's property found or identified after one year from the date of death may not be distributed according to the will's terms, but rather according to the Missouri table of consanguinity, a chart explaining degrees of relationship of family members to the deceased. This chart helps interpret Missouri's intestacy statutes, i.e. the statutory scheme dictating what relatives of the deceased receive estate property when there is no will. Once the will is filed, the probate court appoints a personal representative to manage the estate while it moves through the probate process. The court issues letters testamentary to the individual it appoints, which serve as the personal representative's authority to conduct estate business on behalf of the deceased. Often the will names a personal representative, and this is usually the individual the court officially appoints. However, if the will does not name a personal representative, or that individual does not want the job, someone else is named who is usually a relative of the deceased. In some cases, formal probate is not needed to transfer property. Section 473.097 of the Missouri Probate Code provides for distribution of small estates without a probate proceeding. An estate qualifies as small under the statute if the total value, after subtraction of debt and liens, equals $40,000 or less. Additionally, the deceased must have been dead for thirty days, and there must be no appointment of a personal representative. If these conditions are met, the will is filed with the probate court with an affidavit stating the estate qualifies as small. With the affidavit, the Missouri probate court requires a bond equal to the value of all the estate's personal property. Once approved by the judge, the estate property may be transferred to the individuals named in the will immediately, without a probate proceeding. Although common law required different instruments for bequeathing real and personal property, current law eliminates the distinction. A modern testator devises all her property under one will and names an executor to steer the will through probate. The executor administers the will, collecting assets, locating heirs, paying estate debts and distributing estate assets. The probate court supervises this process, requiring regular inventories, valuations and reports. An executor owes the highest possible duty of care to the estate heirs which precludes any dishonesty or self-dealing. A will is a written document that specifies how a person wishes his estate to be divided. After the testator dies, the will is commonly subject to court proceedings known as probate. Relatives and other potential heirs may find it necessary to locate a will, especially when challenging or questioning the estate proceedings; others often find wills useful when researching family trees. Wills and estate proceedings are typically filed in the probate court of the county or counties in which the deceased had a connection, such as residence or property holdings. In Canada, all wills are subject to probate, a court process that validates the will and gives the legal authority for distribution of the assets belonging to the estate. 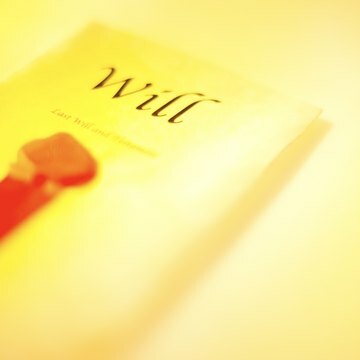 An executor named in the will is responsible for bringing the will to probate and handling the estate according to the will's instructions. Not all documents require probate but if you have been named executor, follow the legal procedures to avoid the loss of time and money in carrying out this task.